Enrich Your Ministry with a D.Min. Azusa Pacific University’s Doctor of Ministry (D.Min.) program will prepare you for practical, effective ministry so you can transform the world with Christ. The D.Min. is the highest professional degree in the practice of ministry, and builds on education received through the Master of Divinity and on experience gained in the practice of ministry. Azusa Pacific’s D.Min. program is available in English and Korean. Note: An M.Div. or equivalent from an ATS-accredited institution is required. Learn more about admission requirements. Get to know our D.Min. faculty. 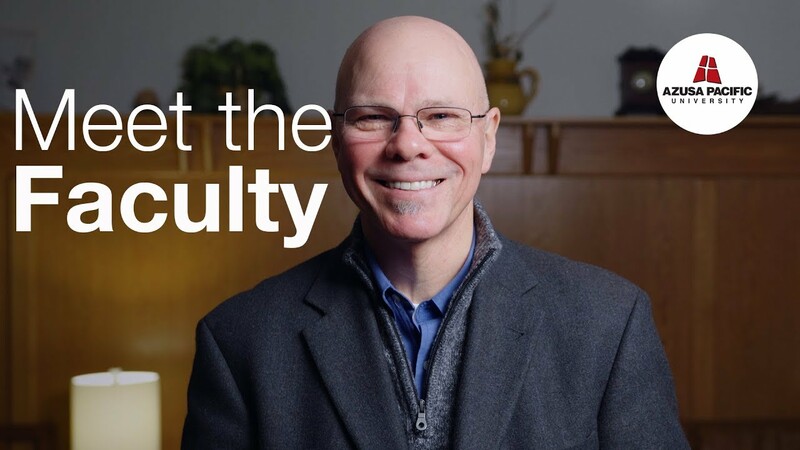 The Doctor of Ministry in spiritual formation and ministry leadership offers a comprehensive curriculum track that focuses on the real-world skills ministry leaders need today. The ultimate goal is to renew and transform ministry leaders, churches, and communities. Develop a theology of spirituality by integrating insights from Scripture, theology, and related disciplines in the humanities and behavioral sciences. Evaluate the dynamics of spiritual life in the context of multicultural life and ministry. Synthesize and apply the theories of spiritual formation to personal spiritual growth and the task of ministry through experience-oriented learning strategies, ascertaining how individuals form habits that facilitate spiritual growth. Analyze and critique how the pastor’s leadership contributes to spiritual formation in the congregation. Analyze and apply the relationship between personal piety and the promotion of social justice. The faculty of Azusa Pacific Seminary believe that the growth of the student’s spiritual life is foundational to effective ministry. Accordingly, the development of spiritual life is integral to every course. In addition, there are opportunities for the seminary community to pray together and share experiences in Jesus Christ. Students and faculty are encouraged to attend the university chapels as well as special services and lectures. Learn more about the program format and our faculty. Azusa Pacific University is accredited by the WASC Senior College and University Commission (WSCUC). Azusa Pacific Seminary is accredited by the Commission on Accrediting of the Association of Theological Schools (ATS).